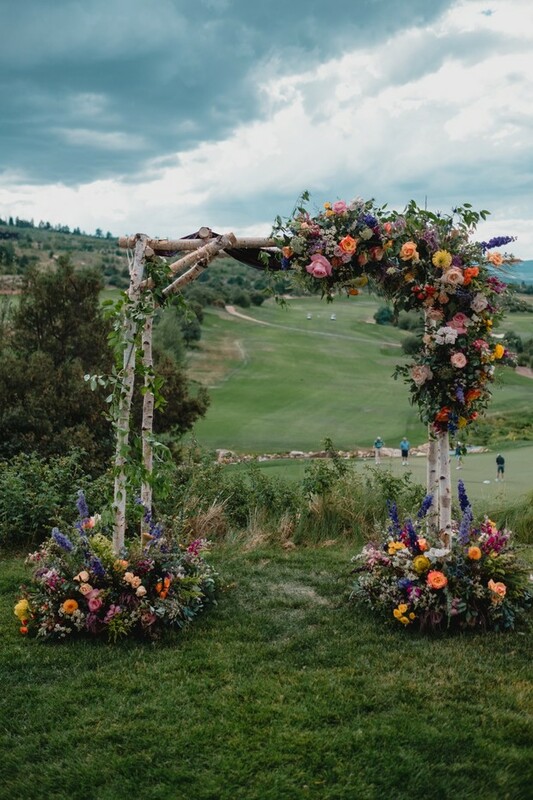 Flowers play a huge role when it comes to wedding design, and Marla and Jay’s wedding is no exception! 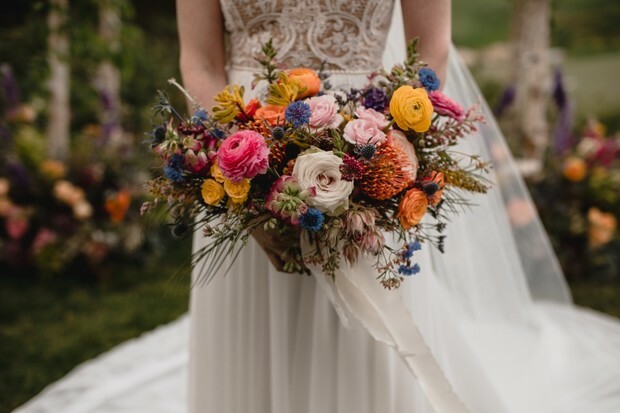 The gorgeous blooms throughout their wedding were the main design element and they are bursting with every color under the rainbow. 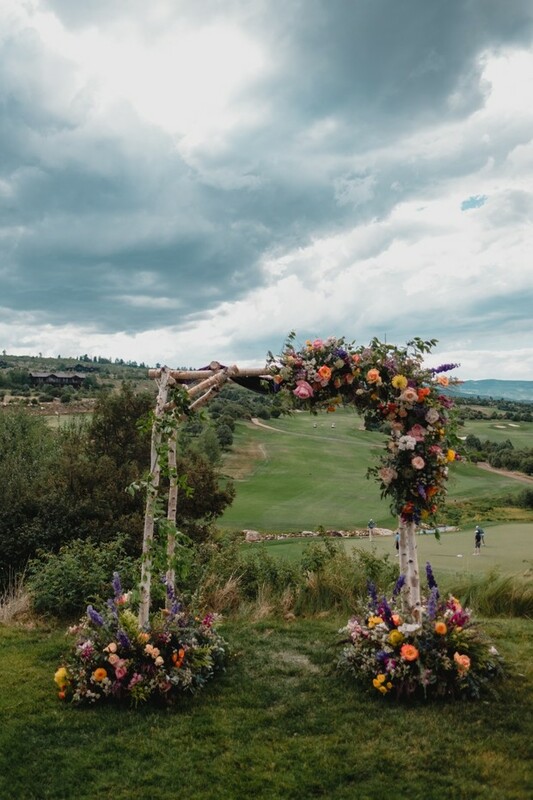 Flower to the People worked their magic and gave their wedding that fresh garden feel at Red Sky Ranch. 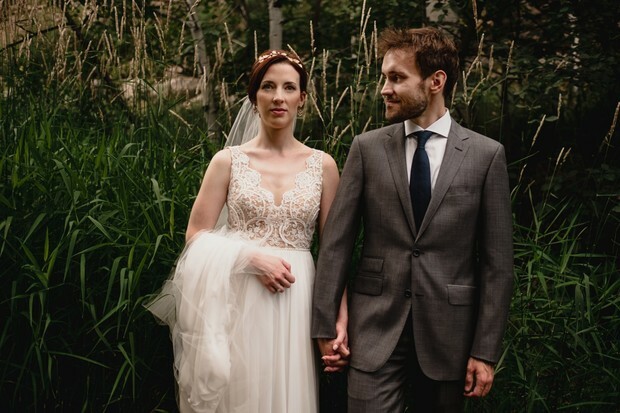 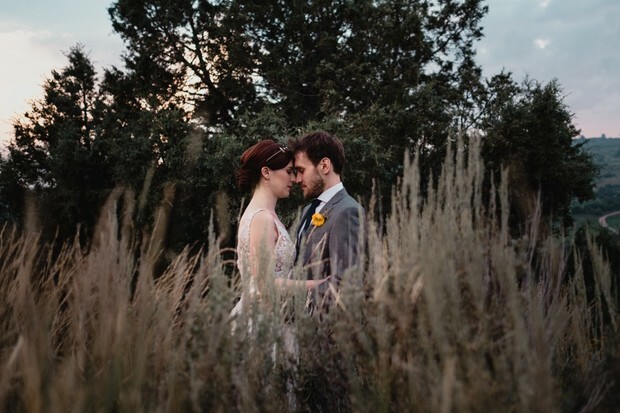 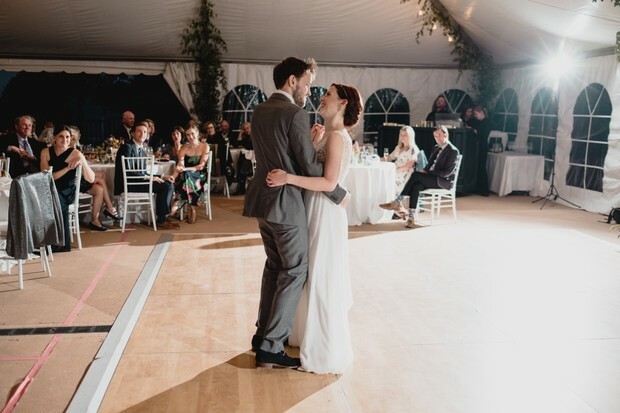 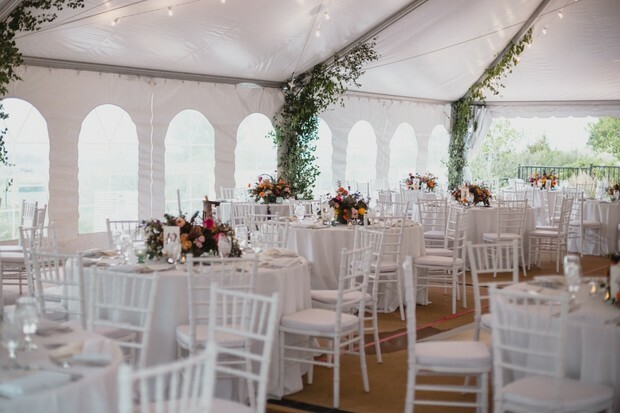 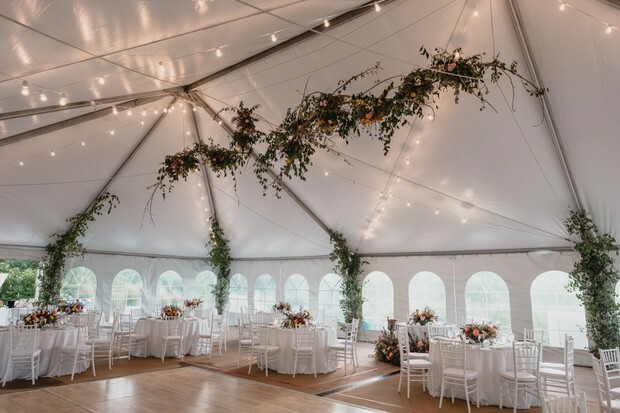 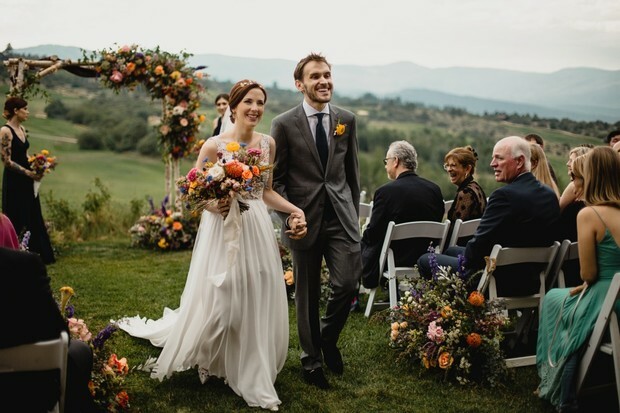 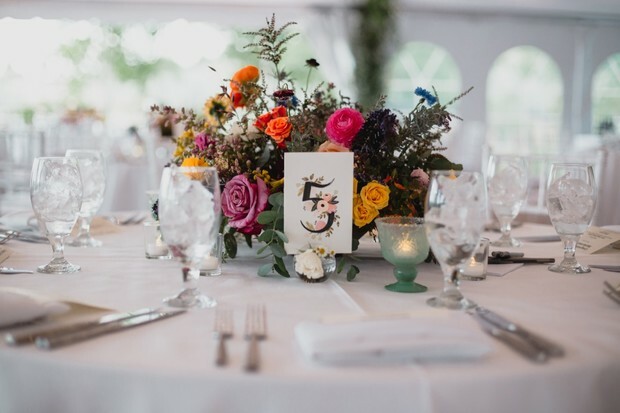 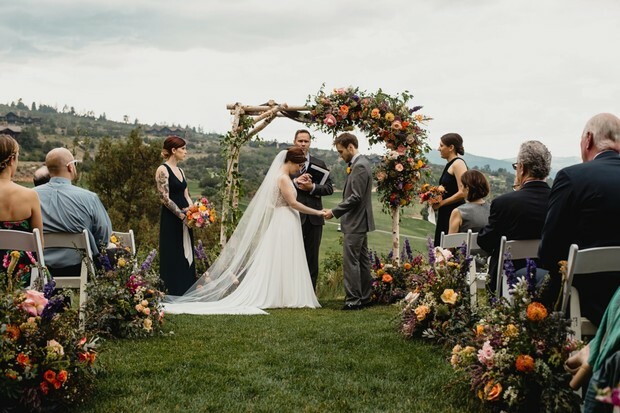 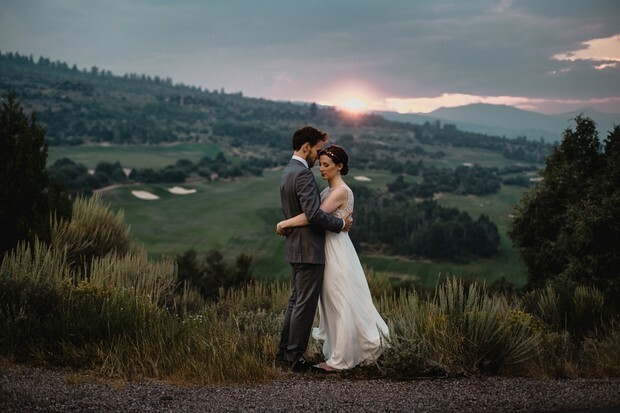 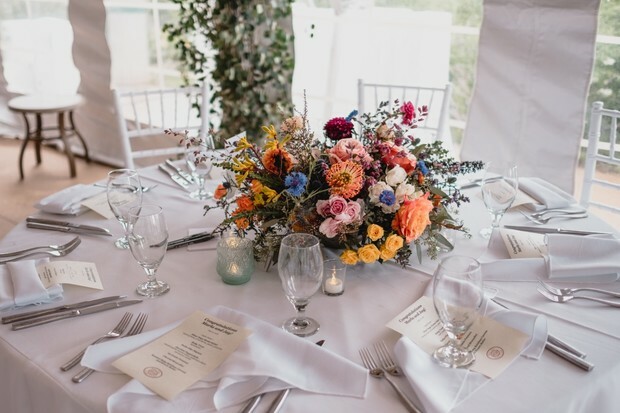 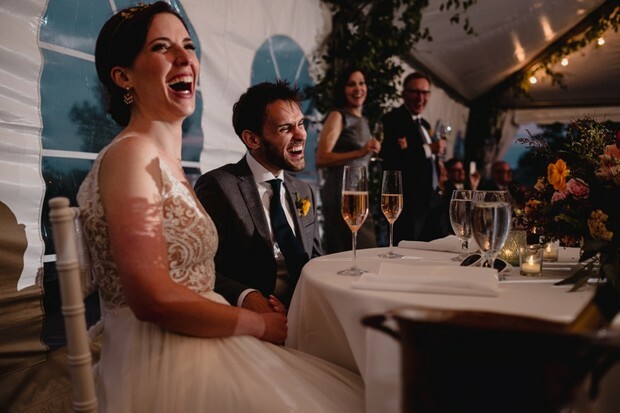 From the gorgeous wedding arbor, to the dreamy tent reception, The Scobeys captured every last detail beautifully below and in the full gallery. 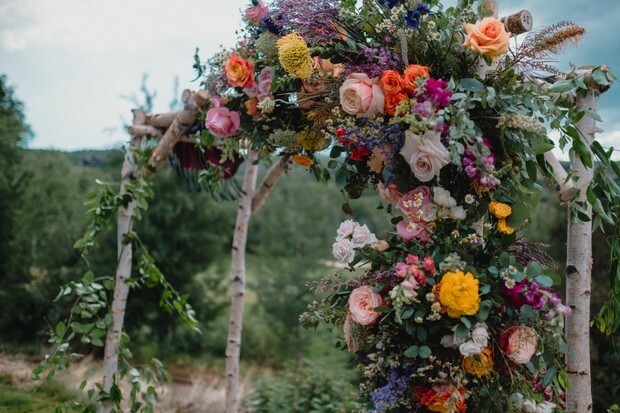 Look at all those colorful blooms 😍 If you're falling hard for this floral-filled arbor, then just wait till you see our ceremony backdrop roundup, 25 backdrops you have to see. 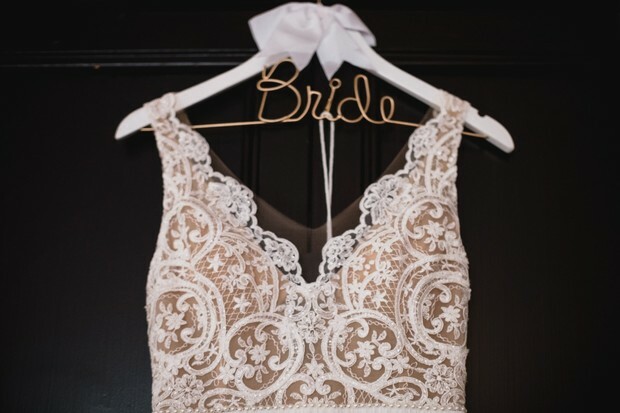 There's a little something for every wedding style! 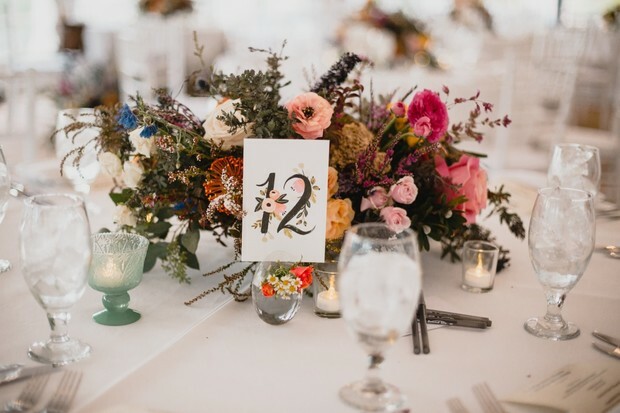 Speaking of cute table numbers, we have a few floral designs you just might like in our free printables section. 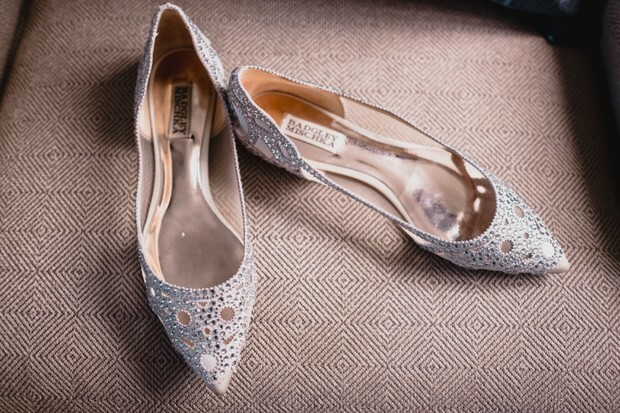 Did we mention they're free? 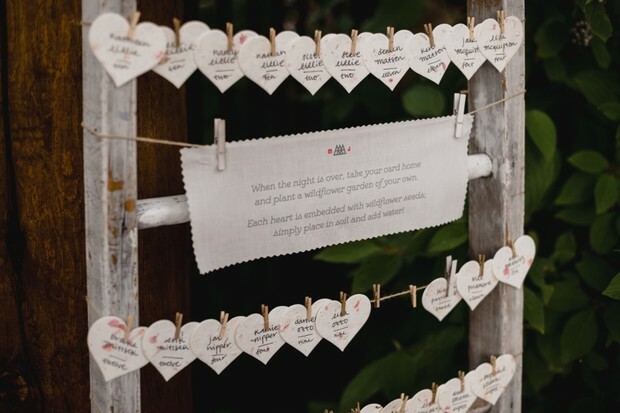 All you have to do is customize, download, and print. 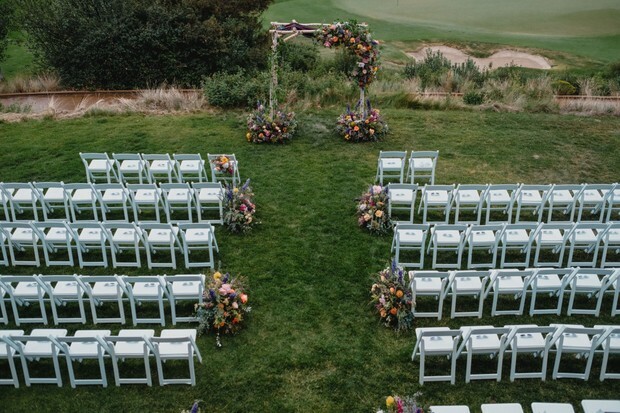 DIY never looked so good y'all.